The introduction of Air Ambulance services that come equipped with intensive care equipment are a signal of expansive improvement in healthcare, in India. As a matter of fact, they have been in use for a while. In 2013, Mahendra Singh Dhoni’s dear friend Santosh Lal was taken to a hospital in Delhi by an air ambulance. However, reports of patient deaths due to a lack of life support machines during transport continue to crop up, and most of the Indian public still prefers to avail the services of their neighbourhood vans, as opposed to the hospital provided ambulances, for emergency medical assistance. Ventilators are used in operating rooms, emergency departments, critical care transport units, and air medical transports. Ventilator Ambulances are ambulances equipped with portable ventilators or automatic transport ventilators that usually house a life support system, overseen by paramedics. There are different types of ambulances in India: Advanced Cardiac Life Support (ACLS), Advanced Life Support (ALS) and Basic Life Support (BLS) vehicles. Ziqitza Health Care operates the ALS and BLS ambulances for various purposes under their 108, 102 and 1298 helpline numbers. Despite having state of the art life support systems and devices, a considerable number of deaths occur during the transfer of patients to hospitals. One of the reasons is the paucity of trained medical professionals or doctors to accompany the vans that ferry patients requiring urgent life support, owing to steep costs and logistic issues. Another grave cause of concern is the cost of these modern and fully furnished ventilator ambulances. Most of them prove to be expensive for the common man, and even when the cost differential isn’t very steep, people still seem to prefer basic vans that are devoid of the essential medical equipment. They are unaware of the high risk that critical patients face and this causes deterioration in the patient’s health. A common example is dengue patients who severely suffer due to a pause in the provision of life-support. Though neighbourhood vans may arrive quicker, their equipment deficiency poses a big threat to patient safety and may be more hazardous to their lives compared to the late arrival of the ACLS, ALS or BLS vehicles. That is why ZHL recommends availing the appropriate transport according to the emergency, and offers multiple ambulance services. 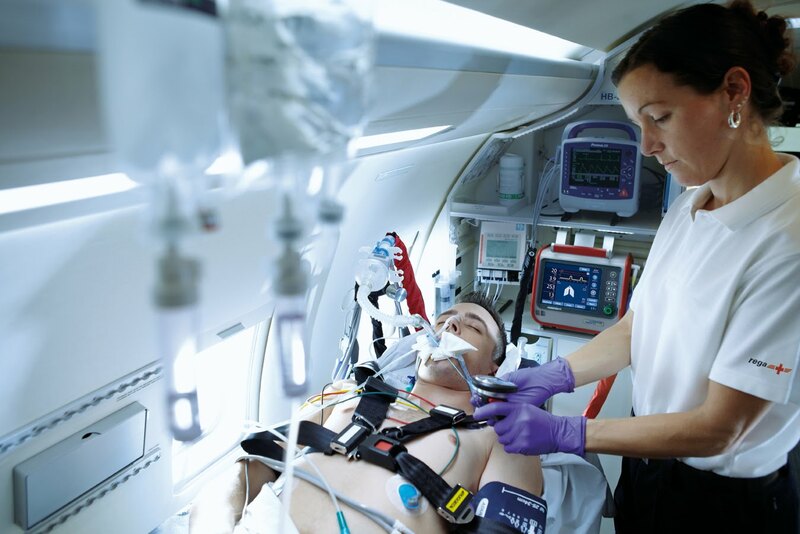 Most advance patient transport vehicles use portable mechanical ventilators, while BLS vehicles use bag-valve masks. Delivering BVM ventilations appropriately is an arduous task that requires thorough practice, and patients undergoing them may be susceptible to harmful complications. Using a mechanical ventilator, especially an automatic transport ventilator, is more beneficial as it allows for the control of the ventilation rate, volume, oxygen concentration and pressure, while also monitoring the oxygen and carbon dioxide levels. This poses a dire need in India for a cheaper and more portable ventilator. If the cost of this equipment reduces, there is a possibility of reduction in ambulance charges, and of introduction of these ventilators in BLS vehicles. Adopting automatic transport ventilators that seamlessly fit into the vehicle also reassures patient safety since their usage is more simplified, and there is evidence that paramedics are able to focus on other aspects of patient care than be occupied with manual ventilation. Affordability is a major concern for most patients and their families, and this forces them to opt for below par medical services. With advancements in technology and successful innovations by creating medical equipment that is compact, user-friendly and reasonably priced, most of these concerns regarding the pre-hospital environment treatment and their efficiency would be resolved.